FILTER Magazine's fall issue hits newsstands tomorrow, September 2. George Harrison is remembered by a new generation, the FILTER generation, in the exclusive cover story, with cover artwork by Shepard Fairey. 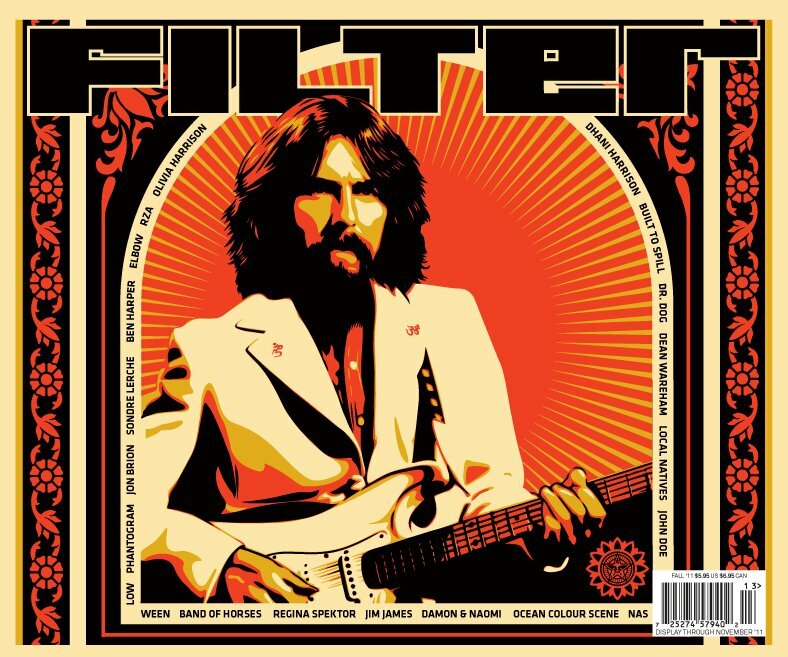 A new generation, the FILTER generation, celebrates the life of George Harrison in the fall issue of FILTER Magazine hitting newsstands September 2. George's wife Olivia and son Dhani have spoken to FILTER Magazine for this important cover story on George's music. Influential artist Shepard Fairey's "Friendship and Support" limited edition print of George graces the cover of the new issue. FILTER Magazine has summoned a new generation of musicians to weigh in on the importance of George Harrison's music and to help illustrate why the publication considers him its favorite. Joining Olivia and Dhani in sharing their intimate thoughts on how George has inspired music today and into the future are Jim James, RZA, Regina Spektor, Jon Brion, Dean Ween, Shepard Fairey, Ben Bridwell, Nas, John Doe, Guy Garvey, Dean Wareham, Doug Martsch, Ben Harper and more. "''Good music will prevail' is the motto we stand by, and for the launch of our fall issue, we want to inspire our readers with the FILTER generation's tribute to George Harrison," said Alan Miller, FILTER Magazine Co-Publisher. "George has helped influence the way we see the world, and it's up to us to get the word out on why our generation has been shaped by his music and legacy." 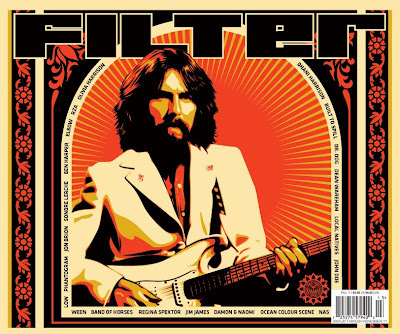 The launch of the fall issue of FILTER coincides with the completion of the Martin Scorsese documentary, George Harrison: Living in the Material World. A few images from the film are also featured in the fall issue of FILTER. Olivia Harrison will be releasing never-before-seen photographs of George as well as George's own photographs in the film's companion book. Disclosure: I'm receiving a copy in exchange for this feature advertorial. Vanessa Hudgens was spotted in a Lucca Couture Floral Maxi Dress ($55 at KarmaLoop) while visiting friends in Studio City on Thursday, August 25th. Singer Nicole Scherzinger wears a Nicole Miller Spatial Perspective Rouched Dress in Gray and Persimmon ($430) to a filming on the ’Live with Regis and Kelly’ show. Nicole chose a runway look to wear on the popular morning show while she is promoting her upcoming turn on Simon Cowell’s new US show “The X Factor”. Nicole Miller is a celebrated American runway designer. Her creative signature has a strong appeal to modern women around the world. Her celebrity clientele incorporating film, music and television talent include Angelina Jolie, Beyonce, Alicia Keys, Blake Lively and Eva Longoria. Nicole Miller Signature is the most luxurious expression of the Nicole Miller aesthetic. Through custom designs, construction, fabrics and finishes often at the level of couture, it offers many of the most unique and modern looks worn on the red carpet today. As businesses brace for the possibility of a double dip recession, brides and grooms should plan for the unexpected when planning their wedding day: job loss, vendors going out of business, rising prices and traveling limitations. The average cost of a wedding dropped $10,000 in a year after the recession began. Last year the cost began to recover, rising from $19,581 (2009) to $23,867, according to The Wedding Report. But the latest figures show weddings are taking a hit again, with the average cost of a wedding for the first half of 2011 sinking to $21,277. Scarcity of jobs, a sour housing market and high fuel costs are making wedding planning a challenge - for couples and vendors alike. Florists, caterers and bakers are feeling the pinch of rising prices and are passing those costs onto their clients. But there are ways to recession-proof your wedding and make your day of celebration a little easier on the wallet for everyone involved. Here are several ways. 1. Go off-peak. Choose an off-season month (January, February or November) to get married, and an off-peak day and time. Saturday afternoon and evenings are the most desired spots, so go for Saturday morning, or Friday or Sunday night to save money on venues and services. 2. Limit the guest list. Most caterers charge per-person, so the difference between 100 guests and 150 is significant. The reception is usually half of your budget - and with food prices rising, feeding your guests tastefully will be hard. Simplify the reception by serving high tea, dessert buffet, brunch or finger-foods instead of compromising on options for a multi-course meal. 3. Buy discounted gift cards. Use them to purchase decorations, supplies and materials from stores like Hobby Lobby, or your wedding attire from Macy's or J.Crew, which is among a growing number of retailers with affordable wedding boutiques. Combine the cards with coupons or promo codes and increase your savings. 4. Shop around and negotiate prices and packages with vendors. Don't ever settle for more than you think you should be paying. Vendors will be happy for your business. Get everything in writing and have one to two backup vendors you can call should something go south with your first choice. 5. Get your hands dirty. The key to any successful budget wedding is doing it all yourself. But it requires delegating to friends and family, who are often honored and happy to play a part in your big day. 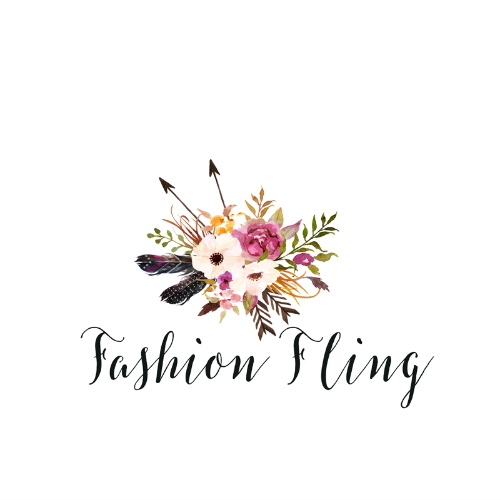 Get your friends and family in the act of addressing envelopes, folding programs, creating favors and making a headpiece or a veil. Some might be willing to cover some costs involved as a wedding gift to you. The greatest benefit of going DIY is saving money, which will allow you to in turn spend on what you can't do - or don't want to leave to chance, like photography. 6. Get thrifty. Twenty-two year olds Jonathan and Rebecca Mooradian of Tennessee scoured Goodwill, thrift stores and yard sales for practically everything they needed for their wedding this year. After paying about 50 cents to a $1 for each item (including a 25-cent wedding gown), they sold their wares in their own garage sale after the wedding, according to The Tennessean's Ms. Cheap. Keep an eye on your local Craigslist and Freecycle for potential finds, and don't forget to ask friends if you can borrow crystal or glass vases, dishes, glasses, serving trays and utensils. 7. Consider insurance. Wedding insurance can protect you in the event a vendor goes bankrupt or out of business. If you're spending more than $5,000 on your wedding, it might be worth the extra cost. Talk to your insurance agent for advice, or check out online offerings like WedSafe.com. When couples or their parents are faced with the choice of paying for a 150-person reception or putting money toward a down payment on a house, the more practical option may win the day. Do what's best for your situation and remember a lot of people are going through what you are. Friends and family will understand if you don't throw a soiree of Kardashian proportions. Prize: One winner will receive a Mala Beads Necklace of their choice (a $108 value) from Tiny Devotions . The mala beads at Tiny Devotions promote good energy, good luck, health, love, strength, healing, and fortune for those who wear them. 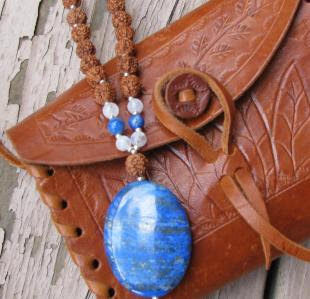 I opted for the Mala of Intuition and Dreams ($154), because I'm very fond of the lapis lazuli stone, which is also known as the stone of royalty. The necklace is beautiful; just as pictured. The stone augments mental clarity, strength, and vitality. It is invokes wisdom, brings deep peace, enhances dream work, stimulates enlightenment, and releases stress. They also consider this stone to be a good friendship stone. Personally, I'd love to own all of the mala beads that they offer in their store, but my other top favorites are Marathon Mala ($108), Moonstone Serendipity Mala ($108), and White Jade Highest Potential Mala ($154). The Moon Collection Military Zipper Coat (Originally: $89 NOW $44.50) is reminiscent of the coats featured on The Beatles eighth album, Sgt. Pepper's Lonely Hearts Club Band. Just less flamboyant and much classier for a big Beatles fan such as myself! Whilst it isn't suitable to don this coat yet, considering this sweltering heat, I can hardly wait to show it off in Autumn and Winter. This is a very beautiful and unique coat. I haven't seen anything else quite like it! 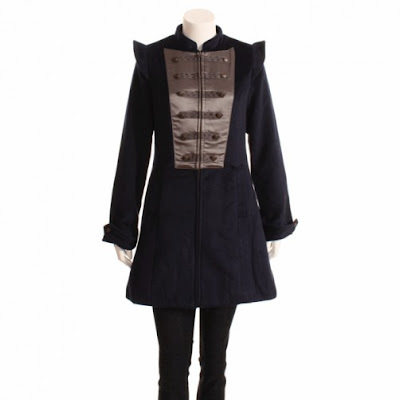 It's richly detailed and looks like it should be more expensive than what it is, but surprisingly you can snag this unique looking coat for just under $50! The item(s) in this review was provided to the reviewer for keeps and the purpose of writing a review. This in no way effects the quality of the review provided. The views expressed in this review are strictly that of the reviewer. All reviews provided here are the work of the reviewer and remain completely unbiased. The eponymous label, debuted at Mercedes Australian Fashion Week in 2002 Excelling in arts from an early age, Valerie's love of vintage fashions stems from her Grandmother, a tailor, who taught Valerie to sew and pattern make. Since launching her label, she has had memorable style collections like her Summer 2004, "An Affair to Remember", which featured feminine chiffon dresses that perfectly captured the essence of the 1950s glamour. I was immediately drawn to the Madonna-esque (circa 1980s) Sandra Shoulder Frill Dress from her Winter 2011 Collection. It's a fun and sassy piece that is uncommon, meaning it's something that you don't see everyday! This is a good thing since I thrive on being unique with my style. The dress is shorter than what I would normally wear, but I can easily wear tights with it so that it will not show my business. I also feverishly love the Reece Double Collar Dress in Cream, Ivy Long Sleeved Backless Dress, Elin One Shoulder Dress, Sophie Star Studded Blouse, Alexa A-Line Skirt, Samira Silk Ruffle Top, and Robyn Rose Skirt from their Winter 2011 Collection. Nomads Hemp Wear offers two highly-sought-after collections of their own funky clothes per year in the most comfy yet tough natural fiber available to mankind. They believe that by creating more sustainability, they are moving in the right direction. Green fibers are the way of the future, and they will keep pushing its quality forward with innovative and modern designs that perfectly reflect our place and time on this wonderful planet. 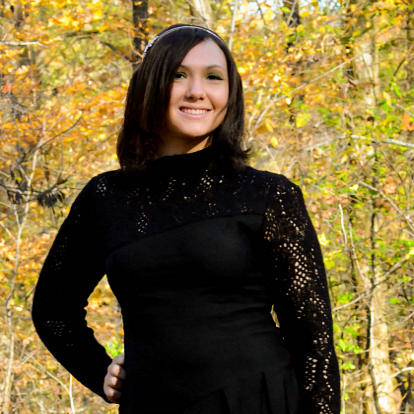 You can easily strike up a band and let the good times roll with this cabaret inspired dress. The Orchid Dress is surprisingly soft and comfortable. The stretchable fabric (53% Soy, 44% Organic Cotton, and 3% Spandex) is forgiving and makes me feel like a million bucks! The dress features bold vertical corset-style seams for a trimmer silhouette. It's currently available in 7 different colors. I received the dress in the same color that's shown on the model, which is very beautiful! I wouldn't mind buying a couple more in Olive and Black since these are my favorite colors to wear when it comes to clothing. I'm very fond of wearing dresses (have a closet full of them! ), but I hadn't worn a mini skirt for ages until I received the Sublime Skirt. It's available in three 3 different colors, but I received the same one shown in the picture above. It's fun and sassy with a slight rocker edge. I wish I could find the same knee high socks that the model is wearing! However, it looks equally appealing with my DKNY Animal Tulle Tights ($15) and camel colored booties by Schutz that I received from Gilt Groupe. It would also look great with their Zen Tee! When I wear any type of pants, it's usually jeans for me. However, I couldn't quite get over the look of the Fusion Pants. So cute and classy! They're available in 3 different colors, but I opted for the Black since it goes perfectly with just about anything. They feature embellished decorative belt and two round, sewn-under pockets on the bum. My only problem is that the pants are a bit too long for my petite height. Therefore, heels are a must for me! Trying pairing it with their Vintage Tank for a unique look. Click here to shop online or find a store in your area.